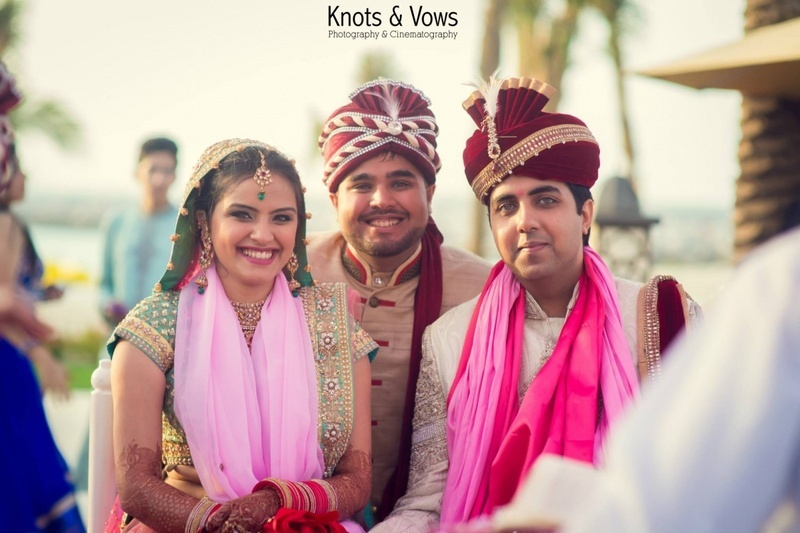 A love story that began with a prank call and evolved from friends to best friends to husband and wife! 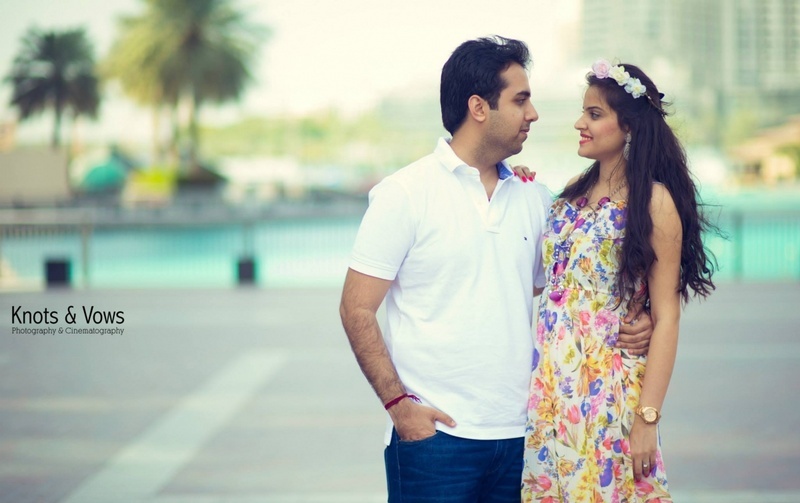 Set in a city that is larger than life, Dubai! 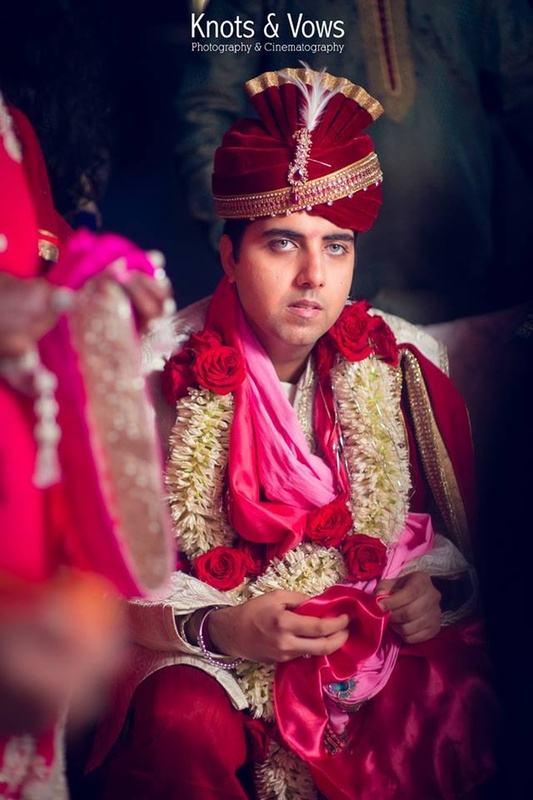 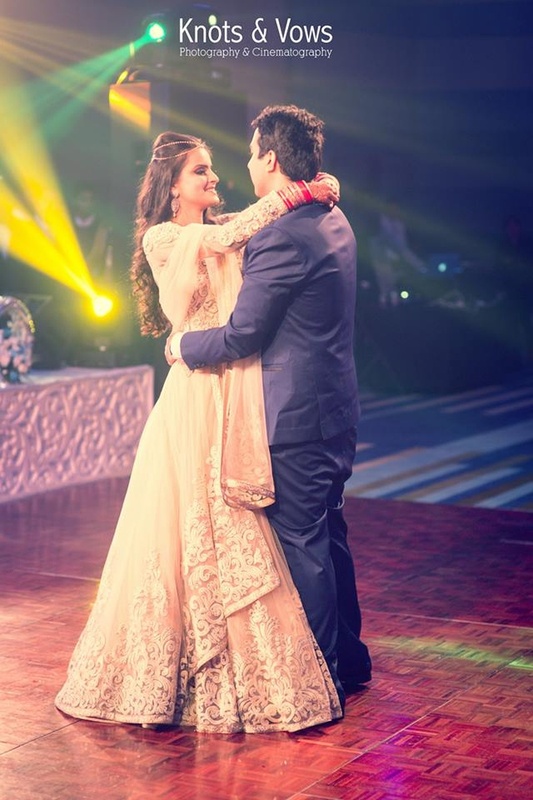 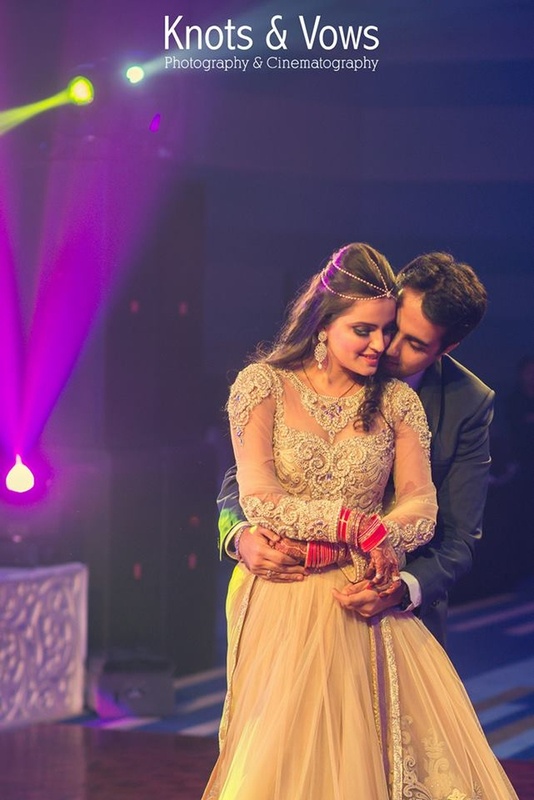 Yogeeta and Mahendra’s wedding was tasteful, classy and exquisite. 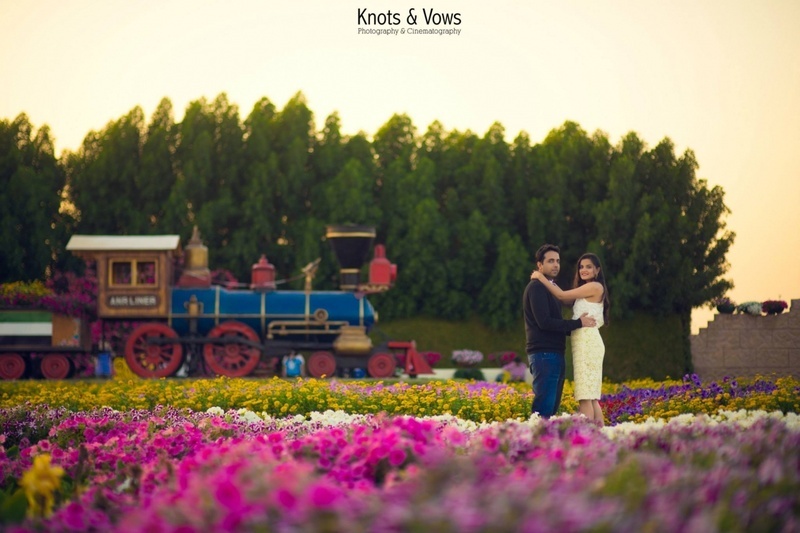 The grace and style that began at the pre-wedding photoshoot held at Miracle Garden, Dubai was testament enough to how grand the wedding would be. 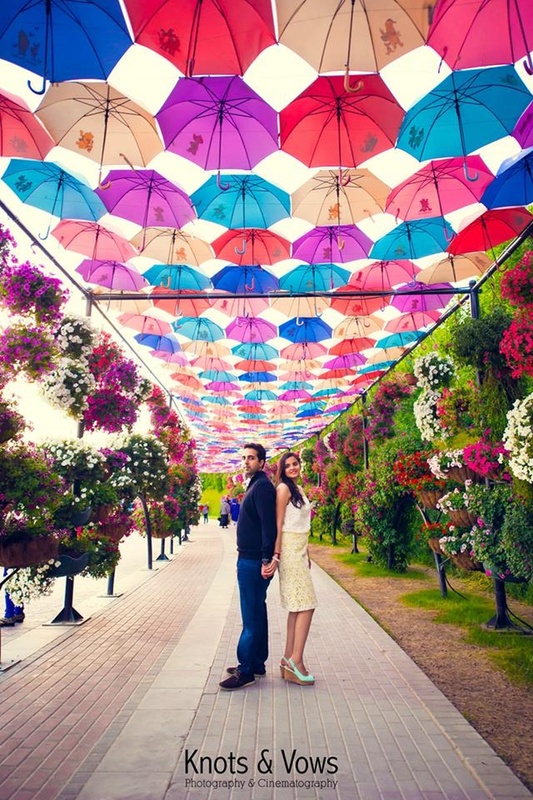 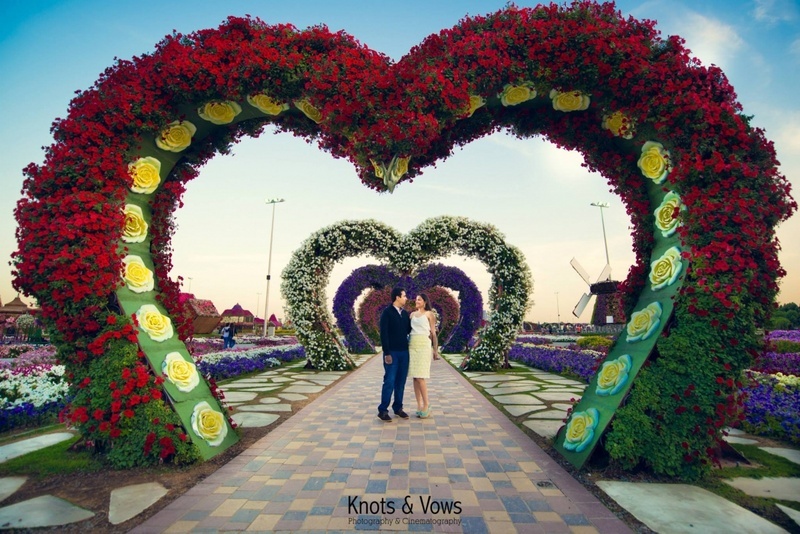 Known for its umbrella strung aisle, colorful shrubs and heart shaped bushes, Miracle Garden Dubai was an ideal place for a classy pre-wedding photoshoot. 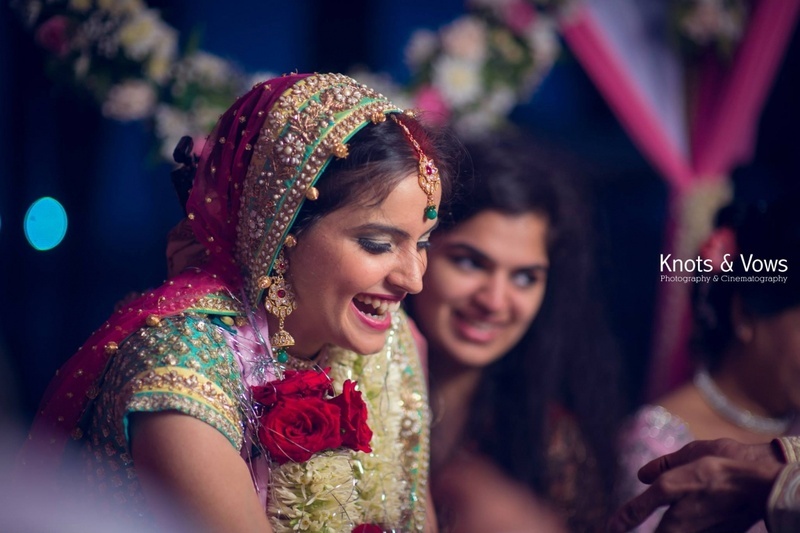 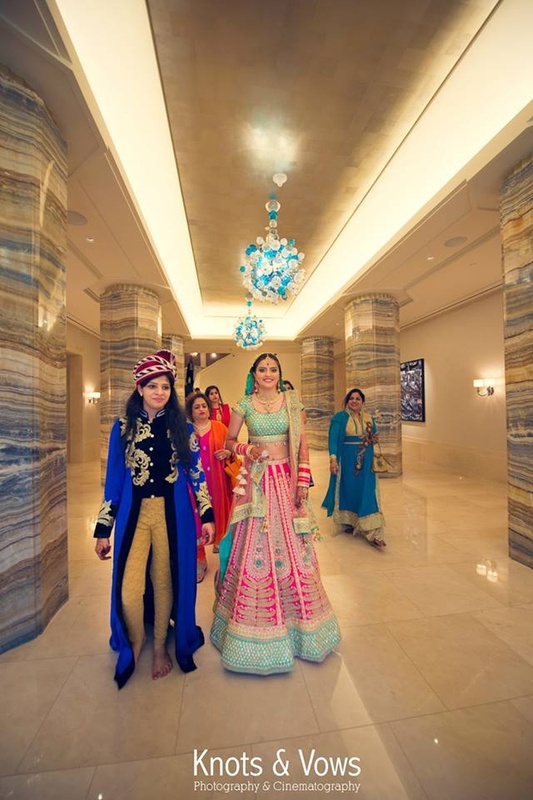 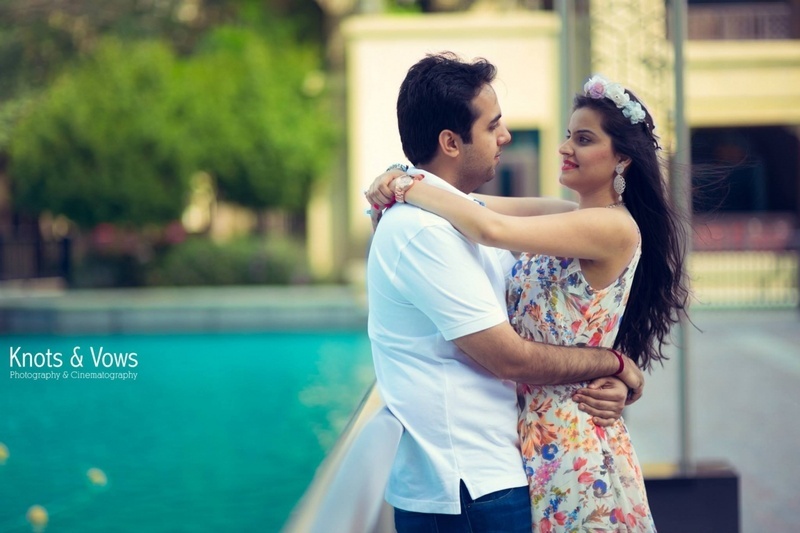 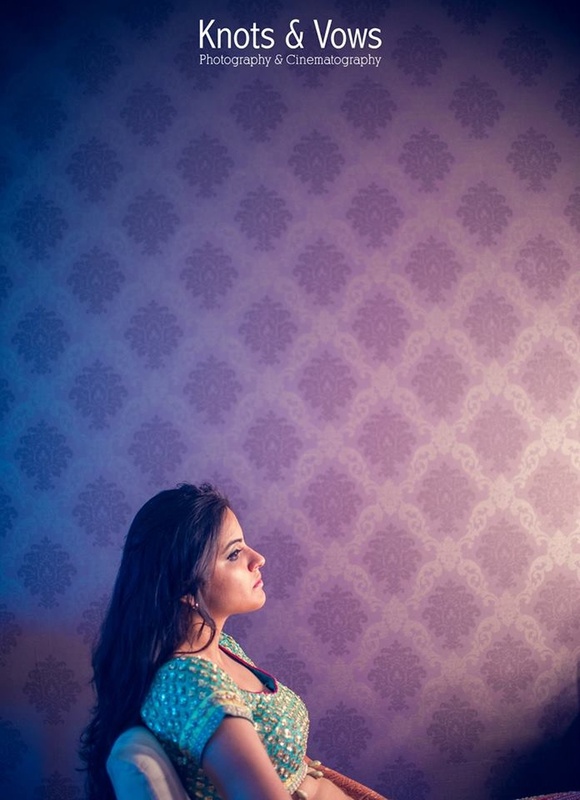 With a location so gorgeous and colorful Yogeeta and Mahendra kept their outfits simple. 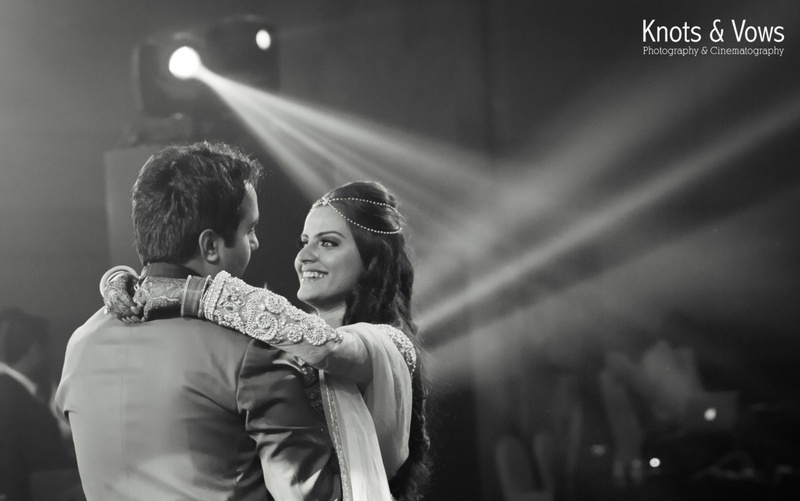 This soon to be bride stunned in a lemon yellow and white midi bodycon, white Mahendra went for a darker hue of black to complement. 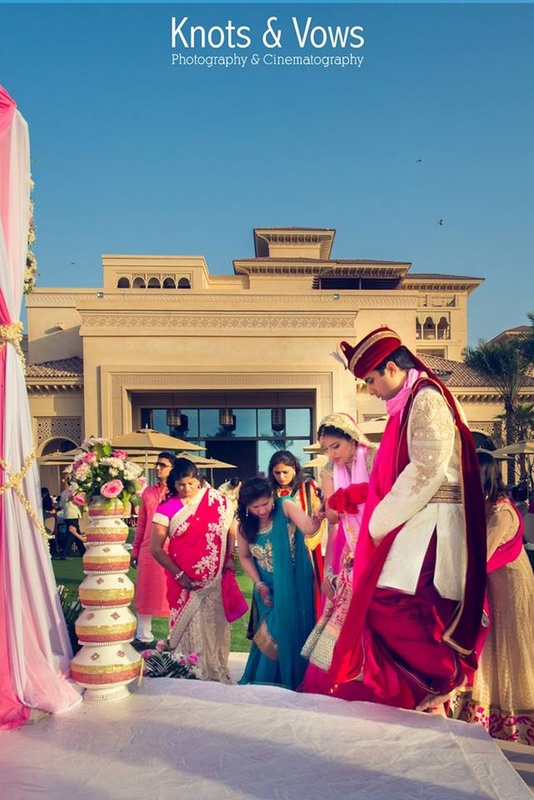 The grand space at Four Seasons Resort Dubai, Jumeirah Beach held their tasteful wedding ceremony set up outdoors. 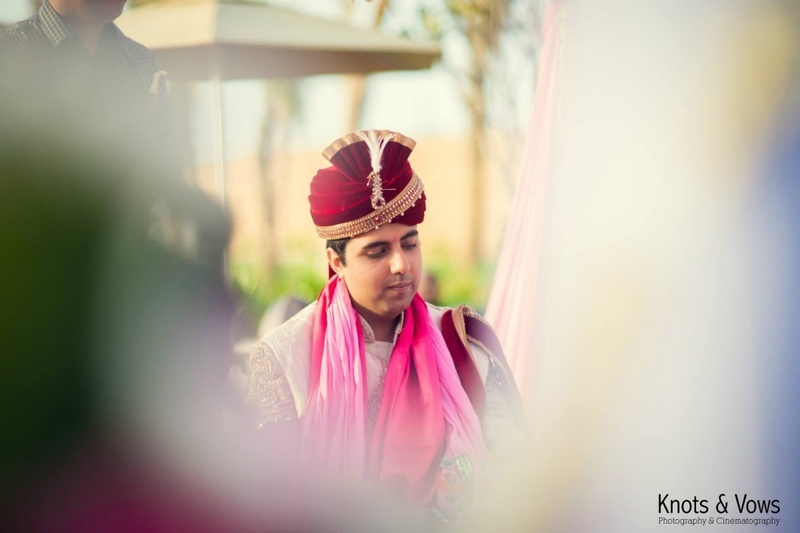 Pink and white drapes with scalloped floral arrangement were all the décor they needed proving yet again that less is more. 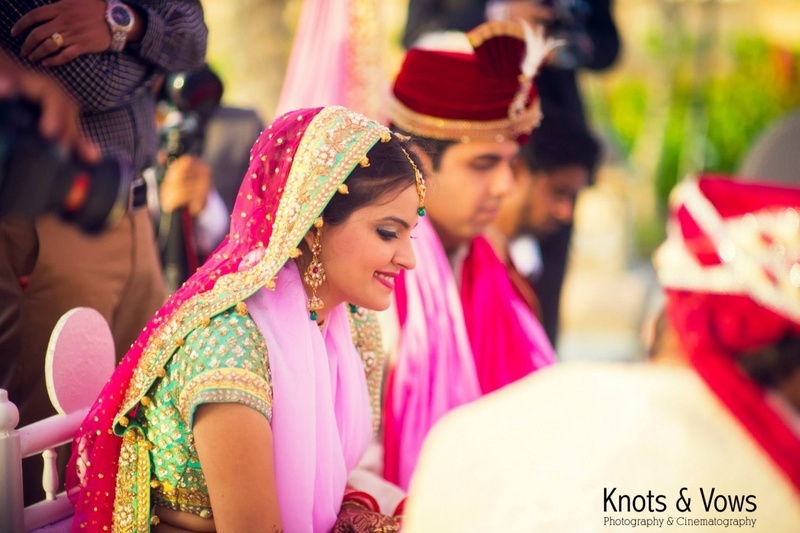 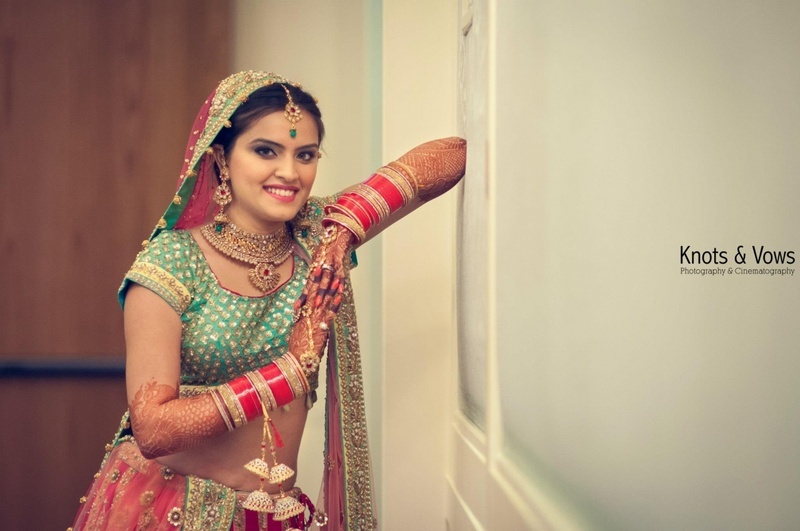 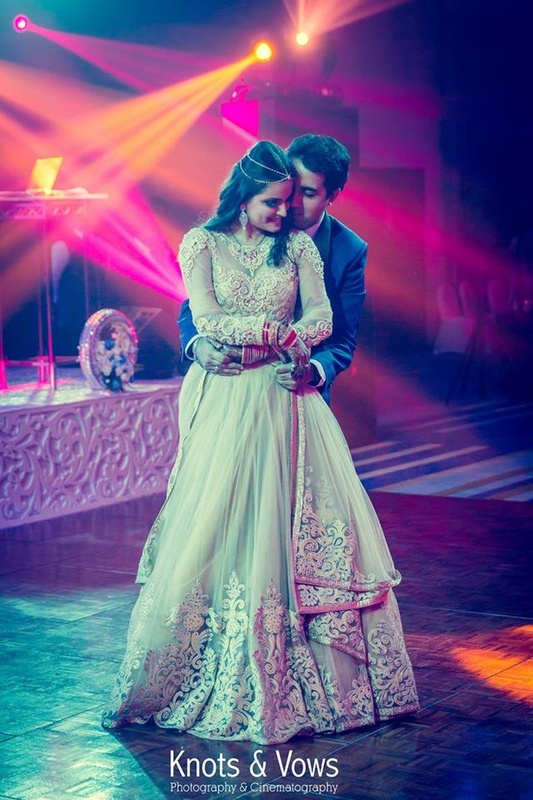 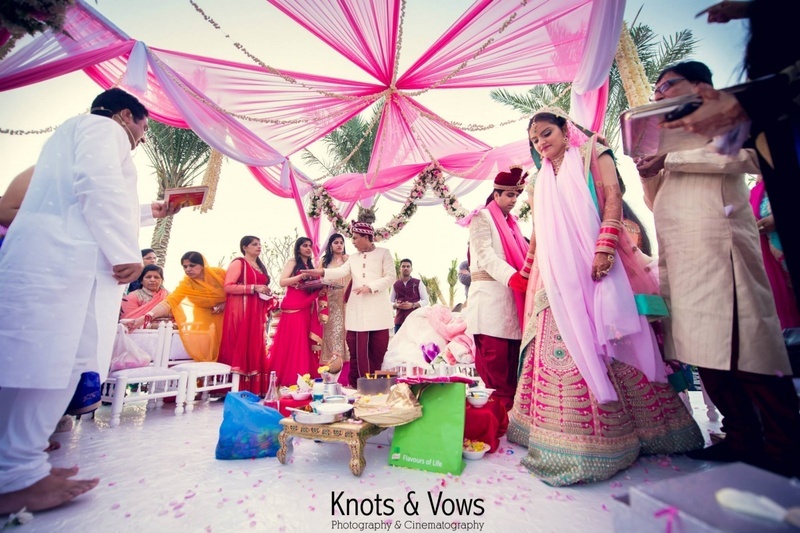 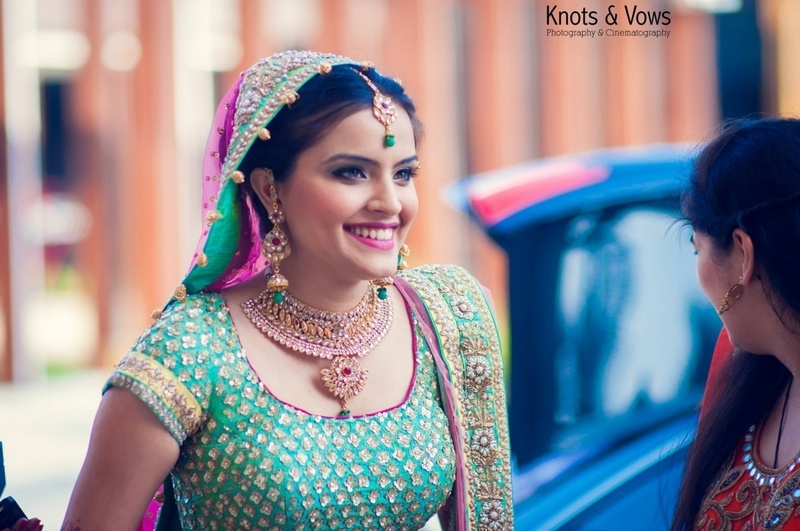 Yogeeta opted to wear a heavy kalidar bridal lehenga designed in a hue of pink and seafoam green with bold motifs – light colors for an outdoor morning wedding proved to be a perfect pick, Yogeeta looked just plain gorgeous. 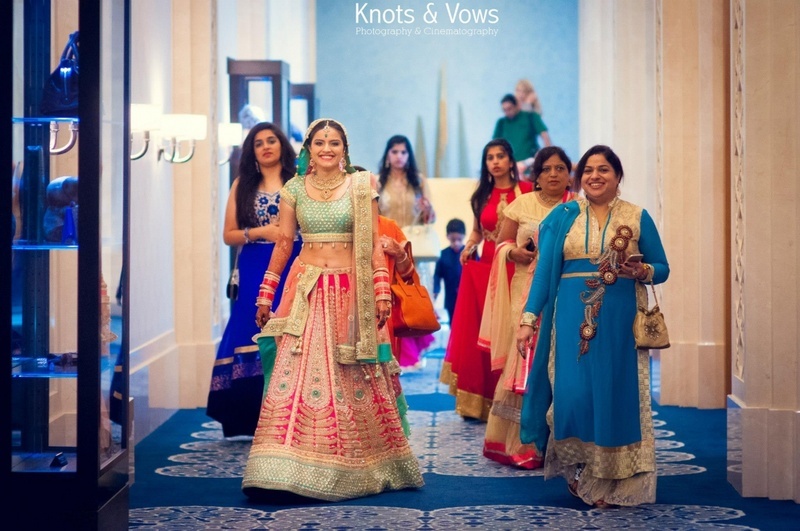 Each kali in a shade of shimmery gold also had intricate crystal embellishments – this beautiful bridal lehenga paired with bold bridal jewellery was definitely the way to go for Yogeeta. 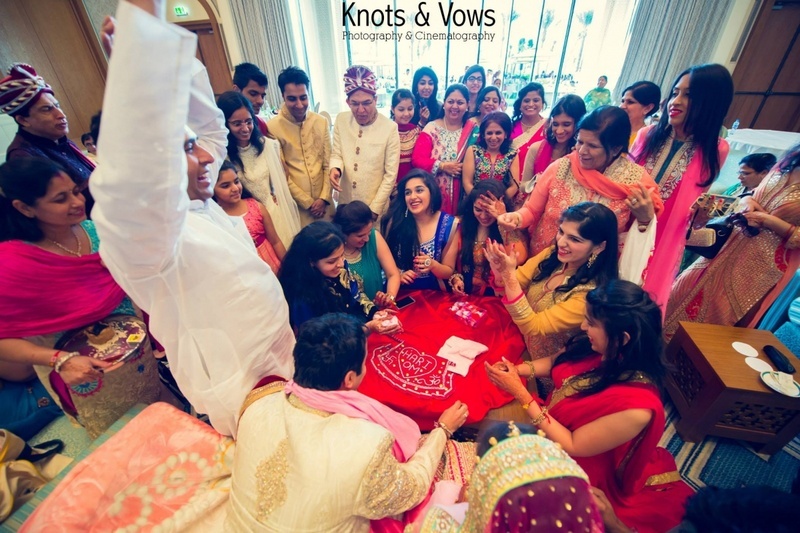 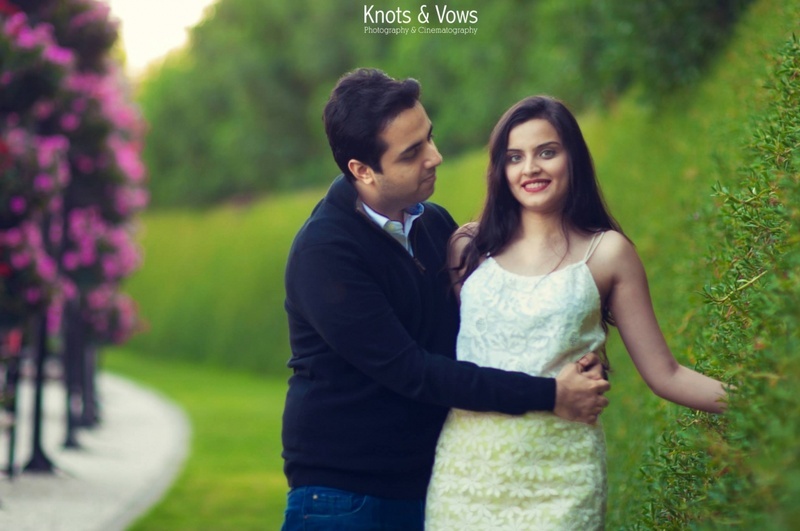 Shot beautifully by the team at Knots and Vows who captured each intimate moment of love shared between this couple perfectly, right from the pre-wedding shoot to the wedding itself – scroll on to see the tasteful celebration of Yogeeta and Mahendra.